Another event in celebration of our tenth anniversary is a reading and signing with author Catherine Friend on Tuesday, September 18 at 7:00pm for her newest book, Sheepish. About the book: It’s been fifteen years since Catherine Friend left her quiet, urban existence and became the proud (if not slightly terrified) owner of two ducks, four goats, fifty sheep, and several acres of Minnesota farmland. Now, caught in a chronic love/hate relationship with her flock, Friend reevaluates life on the farm and discovers that her sheep—and sheep around the world—may be much more important than anyone gives them credit for. Told with the same warmth and charm that characterized her fist memoir, Hit by a Farm, Sheepish: Two Women, Fifty Sheep, and Enough Wool to Save the Planet interweaves Friend’s personal anecdotes—everything from her unhealthy fascination with knitting and how she overcomes a brief passion for the Facebook game “Farmville,” to the perils of unauthorized sheep breeding and shearing day adventures—with insights into the environmental impact of sheep and everything they produce. Discover the advantages of having sheep as the planet’s “self-propelled lawn mowers” and the scary truth behind “wrinkle free” clothing as Friend reveals what it really means to be “Sheepish”—and how it might not be such a bad thing after all. Catherine Friend promotes Sheepish: Two Women, Fifty Sheep, and Enough Wool to Save the Planet..
Catherine Friend , The Compassionate Carnivore: Or, How to Keep Animals Happy, Save Old MacDonald's Farm, Reduce Your Hoofprint, and Still Eat Meat. Catherine Friend discusses The Compassionate Carnivore: Or, How to Keep Animals Happy, Save Old MacDonald's Farm, Reduce Your Hoofprint, and Still Eat Meat. Catherine Friend reads from The Compassionate Carnivore. Catherine Friend lives and farms in Minnesota. 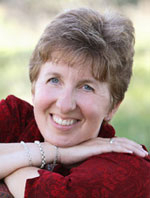 She is the author of a memoir, "Hit By A Farm" and several novels for children and adults. Catherine Friend is currently considered a "single author." If one or more works are by a distinct, homonymous authors, go ahead and split the author. Catherine Friend is composed of 2 names. You can examine and separate out names.